AMD announced that its new second generation of Threadripper CPUs is open for preorders. AMD's Ryzen Threadripper CPU lineup includes one 32-cores CPU, one 24-cores processor, one 16-cores chip and one 12-cores model. 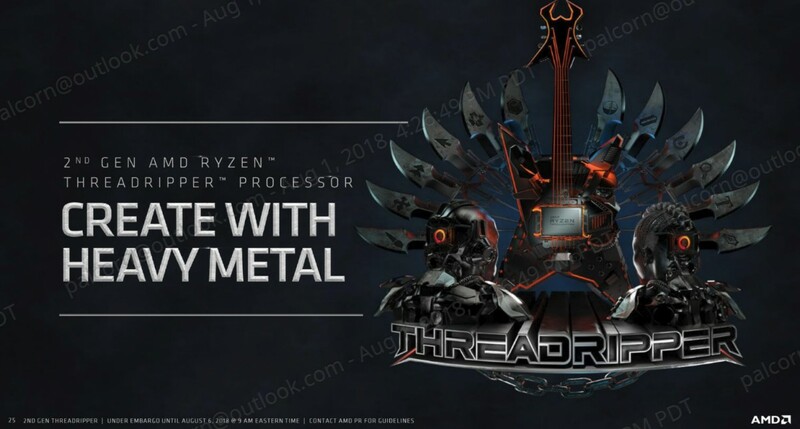 The 32-core Threadripper 2990WX and the 16-core 2950X will ship to customers on August 13 and 31, respectively, while the other two processors will come to market in October. At the moment the 32-core and 16-core cost $1'799 and $899 USD respectively. While the 24-core Threadripper 2970WX and 12-core 2920X will cost $1'299 and $649 USD. The prices are rather interesting since AMD has kept a price per core close to $56 USD. Although Intel has lowered their prices during last months, there is still a huge difference.